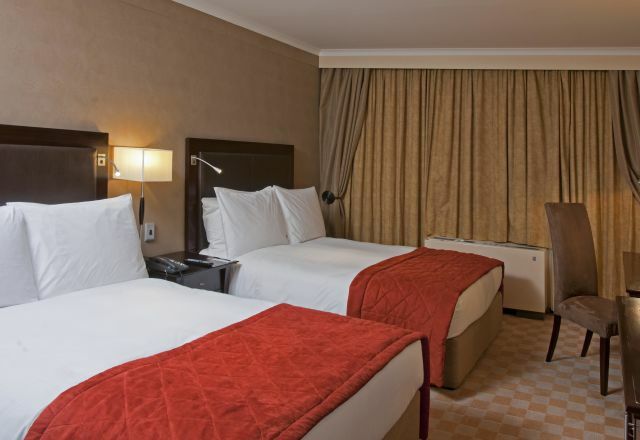 Enjoy a peaceful night’s sleep without disturbances in our extra comfortable accommodation at Johannesburg’s O.R. Tambo International Airport. 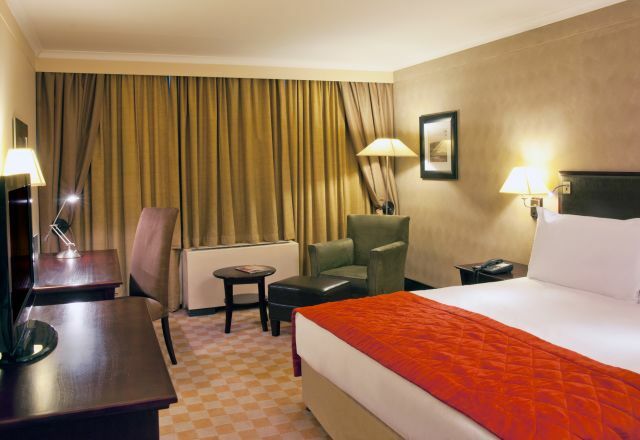 The hotel boasts a total of 366 en-suite rooms which are tastefully furnished and equipped with all the amenities you may require – flat screen television with DStv, direct-dial telephone, free WiFi, tea and coffee making facilities, hairdryer, electronic safe, air-conditioning, porter service and wakeup facility. 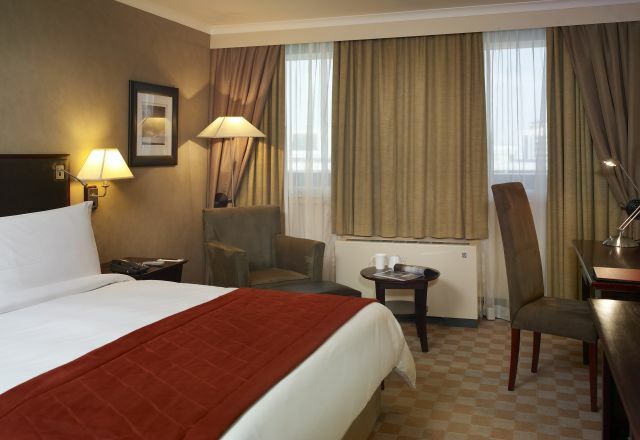 Guests can choose from a selection of Standard, Superior and Superior Surcharge rooms, as well as luxurious Executive Rooms that include a comfortable working and meeting area which is ideal for business guests. Smoking rooms and wheelchair accessible rooms are available on request. 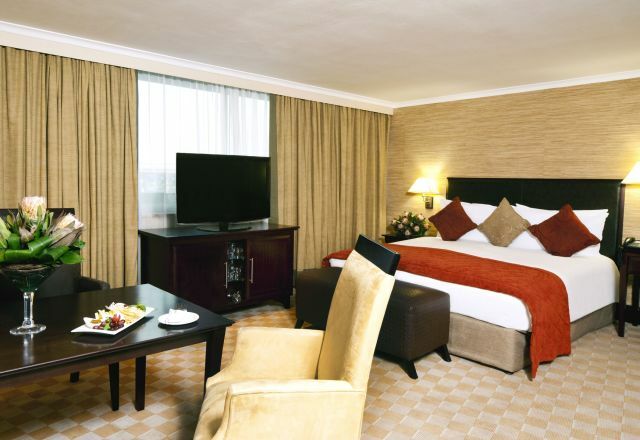 Executive Rooms at the Southern Sun O.R. 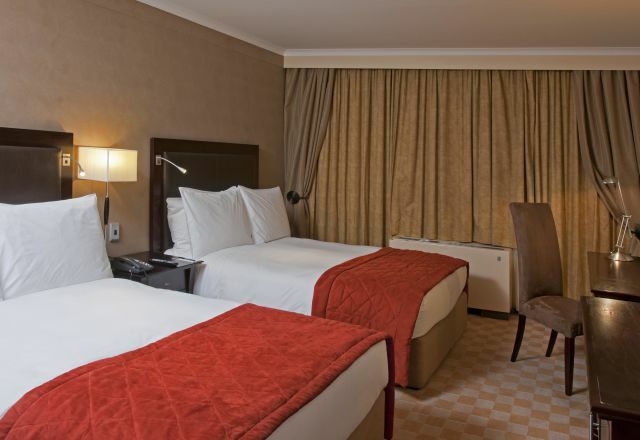 Tambo Airport hotel have a meeting area and en-suite bathroom. Superior Surcharge rooms include two double beds, have an en-suite bathroom with walk-in shower, as well as a range of additional amenities. Family Rooms include two double beds, have an en-suite bathroom with walk-in shower, as well as a range of additional amenities.